SeaPort-e is the Navy’s electronic platform for acquiring support services in 22 functional areas including Engineering, Financial Management, and Program Management. The Navy Systems Commands (NAVSEA, NAVAIR, SPAWAR, NAVFAC, and NAVSUP), the Office of Naval Research, the United States Marine Corps, and the Defense Threat Reduction Agency (DTRA) compete their service requirements among 1800+ SeaPort-e IDIQ multiple award contract holders. INODE received an award under the SeaPort-e Enhanced IDIQ Contract-Small Business as a Prime on April 02, 2015. 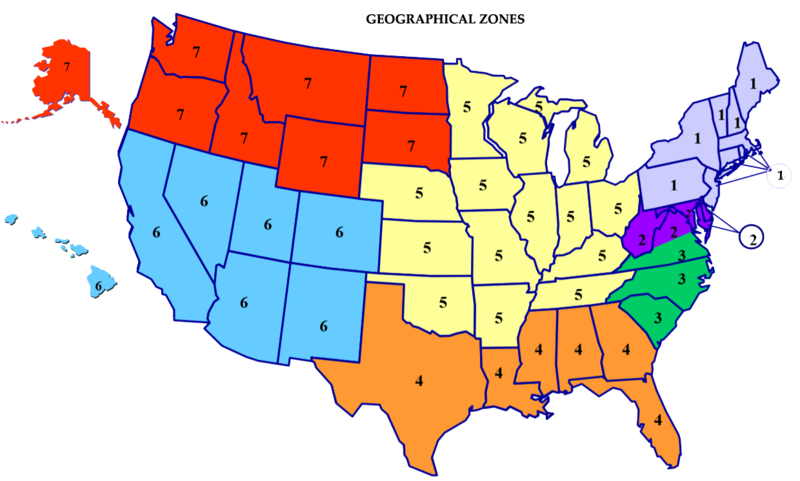 The SeaPort-e contract vehicle segregates work by 7 Geographic Zones, and by 22 Technical Areas. The INODE team has been vetted and approved for work in 5 Technical Areas and Geographic Zones 1-6. Our SeaPort-e team has extensive experience in design and implementation for highly successful IT programs and solutions within DoD, including a great deal of work for SPAWAR, as well as the Defense Information Systems Agency (DISA), the U.S. Navy, and the office of Foreign Military Sales (FMS). Our goal is to provide exactly the right solution and services for each customer taking into account their unique environment, mission, budget, and challenges. Founded in 2007, INODE is a certified Minority-Owned, Small Disadvantaged Business (SDB) and 8(a) Information Technology (IT) solution advisor that specializes in analyzing, designing, implementing, and supporting IT infrastructures that store, protect, and provide continuous access to information. Headquartered in Broomfield, Colorado, INODE’s specialized capabilities and innovative solutions span cloud (public/private/hybrid) computing, virtual desktop infrastructure (VDI), storage area networks (SAN), network-attached storage (NAS), email and database systems initiatives using industry-leading hardware, software, and technical know-how. As one of the few qualified 8(a)-based IT professional service firms that is focused on designing and implementing enterprise data storage solutions, but not tied to a specific vendor’s offerings, INODE can provide unbiased design and superior implementation on systems utilizing any/all of the leading OEMS such as: NetApp, VMware, Cisco, Nutanix, HP, Dell, and many more. Certifications include NetApp (NCDA, NCIE-SAN, NAIP), VMware (VCP3-5, VCP5-DCA), Nutanix (NPSR, NPSE, NPP), CISCO (CCNA R/S), CISSP, Red Hat (Linux 6), and Microsoft (MCSE, MCP Exchange, MCSE +I). Established in 1983 as an independently owned and operated minority business enterprise, Abacus Technology Corporation is a successful Small Business Administration (SBA) 8(a) Program graduate with a 30-year history of outstanding project performance on large, task order-type contracts. The company’s reputation for producing and delivering value-added products and services on time and within budget is widely recognized throughout government and industry. Abacus has a broad range of government and commercial expertise in Network Solutions, Information Assurance, Software Development, Program Management Office Support, Physical Security, and special studies. Abacus is a Microsoft Gold Certified Provider, and operates a test-bed to simulate client network environments and troubleshoot application software and system installation problems prior to delivery. Many of its employees hold engineering and management certifications and meet eligibility requirements for classified contracts. Abacus clients include DoD, federal agencies including FMS, state and local government, private sector, and international organizations such as the Department of Foreign Affairs in Morocco and the Philippines. For more information visit Abacus Technology. Winner of a 2010 Small Business of the Year Award from the SBA and selected for the 2012 SmartCEO 100 Best-Run Companies list, DKW is a CMMI Level 2-assessed Small Business serving DoD and federal civilian agencies for more than 12 years within the full spectrum of IT professional services and program management, applying industry best practices to exceed client expectations. For example, DKW has been a trusted industry partner for SPAWAR Systems Center Atlantic since April 2006. During the past seven years, DKW has developed, modernized, maintained, operated, and supported a wide variety of mission-critical C5ISR systems for SPAWAR Atlantic customers that include NAVYCYBERCOM, NAVSEA, BUPERS, OPNAV N2/N6, NCIS, Office of Naval Intelligence (ONI), Naval Electronics Logistics Office (NELO), U.S. Army Intelligence and Security Command (INSCOM), National Security Agency (NSA), U.S. Coast Guard, the Defense Information Systems Agency (DISA), the State Department, and the Nuclear Regulatory Commission (NRC). The company supports mission-critical requirements as a prime contractor in both CONUS and OCONUS locations including service desk operations for more than 10,000 SPAWAR users at 50+ locations worldwide, data center management for the Marine Corps in the San Diego area, software support for the GIG under DISA, and Crisis Management System network operations also under DISA for secure National Security Council communications. 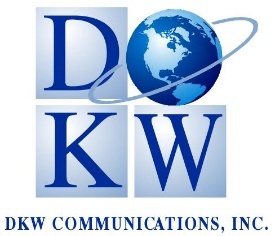 For more information visit DKW Communications. SUBCONTRACTOR: Battle Resource Management, Inc. Founded in 2004 and a graduate of the Small Business Administration (SBA) 8(a) Program, Battle Resource Management, Inc. (BRMi) is an award-winning management consulting and technology services firm that provides strategic consulting, mission application, and mission infrastructure services to federal and commercial clients. As a three-time Department of Homeland Security (DHS) Small Business Achievement Award winner, BRMi has deep change execution expertise and helps organizations move agilely from concept to reality with innovative, cost-effective solutions. The company is recognized for its strategic planning, change management, program management, business reengineering, architecture, IT security, cloud migration, and solution delivery services. BRMi is also a Microsoft Silver Certified Partner and has incubated a BRMi SharePoint Center of Excellence, delivering award-winning solutions to the government that have streamlined operations to achieve up to 300% process efficiencies. The company currently supports the Intel and DoD community as well as several civilian agencies, including the Departments of Homeland Security, Justice, Commerce, Labor, Treasury, and Energy. For more information visit BRMi. USAF – Air Operations Center (AOC) INODE assisted in the design of the USAF Air and Space Operations Center (AOC) Trusted Thin Client (TTC) initiative and we continue to support AOC customers in their evaluation of new technologies and architectures. SPAWAR – Atlantic Network Systems Engineering and Messaging System Support DKW performed engineering and implementation tasks on all of the shore-based Internet Protocol (IP) and legacy messaging systems used by the Navy in an ever-changing fiscal, technical and organizational environment. AFLCMC – Contractor Engineering and Technical Support to RSAF Abacus Technology successfully provided system engineering, and technical and enterprise engineering services to AFLCMC in support of the RSAF. These efforts were specifically in support of the development of C4I, enterprise integration and joint interoperability capabilities. DHS- ICE SAUE BRMi designed the architecture models, including functional service models, layered-process models, and technical service models that map business functions for developing solutions that align to the strategic goals of ICE and its supporting agencies. USAF – Air Operations Center (AOC) INODE provided full system design documentation for the Air Operations Center Weapon System (AOC-WS) and provides ongoing Technical Data Support, Configuration Management/Control, and Certification/Accreditation support for every system-wide enhancement or spiral upgrade. NASA – Kennedy Space Center Information Management and CommunicationsSupport Abacus Technology maintains the Kennedy Space Center repository for all technical/engineering diagrams, reference documents, and all other relevant technical materials in a proprietary, very large online system called TechDocs and another system called NEDS (NASA Engineering Data System). USAF – Kirtland AFB Consolidated IT Services Abacus Technology maintains configuration management, including maintaining a master database of all system design specifications and providing thoroughly documented system design documentation at Kirtland AFB. DHS- ERMS BRMi PMO assists in developing the overall information governance strategy producing the records policy, procedures, and guidance necessary to advance Records and Information Management (RIM) enterprise-wide. They also support the application of technology for information governance, coordinating the program within DHS and with outside parties such as the National Archives and Records Administration (NARA). AFLCMC – Contractor Engineering and Technical Support to RSAF Abacus Technology engineers provided on-site software, radar system, Net-Centric communications, data link, cyber security, display engineering and technical assistance at multiple air bases in the Kingdom of Saudi Arabia (KSA) for the CETS program. They also maintained RSAF C4I software, developed and implemented software releases, and provided kingdom-wide network support. NASA – Kennedy Space Center Information Management and Communications Support Abacus Technology provides software engineering and maintenance for over 200 applications. Abacus performs adaptive, corrective, and preventative maintenance on applications running on centralized servers. Their software development group maintains and sustains more than 119 web-based applications supporting scientific, business, and public outreach and more than 6,700 web pages using the latest technology, including Microsoft Silverlight and iOS mobile development. USDA – Food Safety Inspection Service and Public Health Information System DKW has successfully provided full software Development Lifecycle (SDLC) support to USDA Food Safety Inspection Service (FSIS) for four of their major applications. This includes their Public Health Information System (PHIS). NASA – Kennedy Space Center Information Management and Communications Support Abacus Technology is responsible for the development of information systems supporting business operations at Kennedy Space Center. All systems are designed with information assurance and IT security in mind. USAF – Kirtland AFB Consolidated IT Services Abacus Technology performs the full spectrum of information system development for all base systems at Kirtland AFB, as well as information technology support with information assurance deliverables as a core component of that ongoing contract. AFLCMC – HNI Server Consolidated Environment (SCE) INODE supported the development and implementation of the Server Consolidated Environment (SCE) that hosts a number of enterprise-wide applications critical to managing and securing the Air Force Enterprise Network (AFNET). INODE also provided IT support and documentation support in support of periodically required IA audits and vulnerability testing events. DHS USCIS- Enterprise Services and Governance Program (ESGP) BRMi’s team of more than 15 business analysts, architects, and subject matter experts function as integral members of the USCIS EA Program Staff providing EA governance best practices and implementing time and cost savings processes. SPAWAR – Atlantic Network Systems Engineering and Messaging System Support DKW provided program support for SPAWAR contract integrating and transitioning more than 20 major DoD IT systems including TS/SCI cross-domain solutions while ensuring DIACAP and IAVA compliance and developing CMMI Level 2-assessed software. National Institutes of Health – National Institute of Diabetes and Digestive and Kidney Diseases INODE retains a trusted advisor role to the NIDDK Computer Technology Branch (CBT) within NIH for virtualization and storage technologies and O&M support for both physical and virtual environments. NASA – Kennedy Space Center Information Management and Communications Support Abacus Technology is responsible for the management tracking and administration of a communications and IT infrastructure program at Kennedy Space Center valued at over $90M per year. TSA Air Cargo BRMi is currently providing the TSA Air Cargo Security Program with capital planning and program management support services, which includes program management, acquisition management, technical subject matter expertise, statistical analysis and management, report engineering, and data management support. At INODE, quality is every employee’s responsibility and all team members are charged with continuously monitoring work in progress to identify to the Program Manager (PM), Task Order Manager, and Quality Assurance Representative existing or potential discrepancies for tracking, reporting, and resolution purposes. INODE Quality Control Plans present a framework of activities to ensure the quality, consistency, comprehension, and completeness of engineering processes, installation activities, task order documentation, and service fulfillment. An individual task order’s Performance Work Statement (PWS) along with specifications and industry standards provides the project standards and specifications to be used as the basis for quality assurance reviews, audits, testing, and resulting discrepancy reporting to assess the progress, well-being, and accuracy of a Task Order. The results of reviews, audits, and tests are documented in informal discrepancy lists and formal Discrepancy Reports. INODE employs a Quality Management System, based on ISO 9001:2008 best practices, to control costs, schedule, and performance and convey accurate project status. We will finalize an Implementation Plan (IP) upon the award of each task order. Our program implementation methodology, proven by our extensive and exemplary DoD past performance, is built upon twin pillars of constant communication and a comprehensive Master Project Schedule (MPS). The preliminary IP, which identifies all stakeholders and outlines optimal lines of communication, and MPS will be finalized by incorporating adjustments resulting from any task orientation session and other customer interaction. The IP, including the MPS, is the foundation for INODE’s task order management. It identifies required and allocated personnel, employee planned monthly hours and labor rates, total allocated labor hours and labor dollars, other required resources, and start/completion dates for each project milestone. INODE’s IP is a comprehensive baseline and project control tool, revised to reflect all approved changes during the task order lifecycle. INODE’s task order management structure takes full advantage of our comprehensive Quality Management System (QMS) to ensure compliance with all customer requirements throughout the life cycle of every task order. Our status reporting process incorporates lessons learned, both positive and negative, from customer feedback and our formal and informal QA reviews. This allows INODE to apply lessons learned in order to continuously improve our technical performance, provide schedule conformity, and reduce costs wherever possible. In addition, this approach enables the INODE team to quickly respond to all change requirements. Similarly, our comprehensive metrics and reporting, available in near-real time via web-enabled metrics data and/or via electronically delivered recurring reports, arms all stakeholders with the information necessary to manage proactively. This culture of full and open communication results in a collaborative and innovative team that is uniquely agile and capable of predicting/reacting to dynamic events with lightning speed. The PM and the QA Manager are responsible for the reporting and tracking of project-related problems, discrepancies, and resolutions. Project engineers take an active role in the QA process by conducting audits and tests throughout the life of the project. The Discrepancy Report will be generated for each discrepancy or non-conformance identified. These reports are prepared during receipt inspections, hardware burn-in, in-process installation audits, pre and final Cutover and Test. Problems of a non-technical nature are communicated in the recurring task order status reports prepared by the Task Order manager.